Free Priority Mail shipping to the US. Discounted International shipping. Sorry, I cannot ship Wrapsody wraps to Canada. Wrapsody Layaway Wrapsody layaway payment plan: make a 50% deposit, then one more payment of 50% one month later. Wrap ships when paid in full. 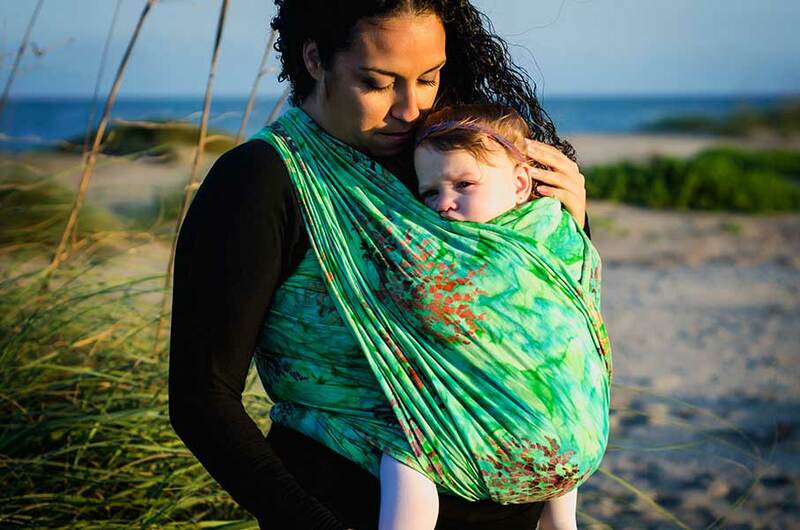 Categories: 100% Cotton, Affordable Woven Wraps (under $130), Green Wraps, Irregular Designs, Woven Wraps for Summer, Wraps for Beginners, Wrapsody Hybrid Wraps with Supportive Stretch. Keep your baby close and get things done every day with less fussing and more comfort! Wrapsody Zoe is a tree of life wrap depicted as seaweed in a brilliant green underwater seascape. It symbolizes that we all come from a watery womb. 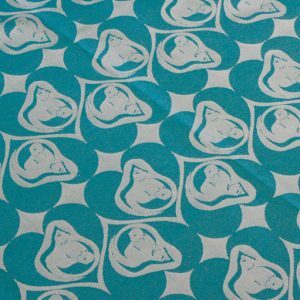 Wrapsody Zoe is made from 100% cotton that is strong, silky-soft, and lightweight. Wrapsody uses the perfect material for those who want some stretch without the limitations of a stretchy wrap. We specifically select this Jersey Knit for its strength and comfort. Like all the best baby gear, Wrapsody Zoe is machine washable and will not pill or fade with use and care. Wrapsody Zoe is sewn and batiked in Bali Indonesia by a small business owned by a single mom. 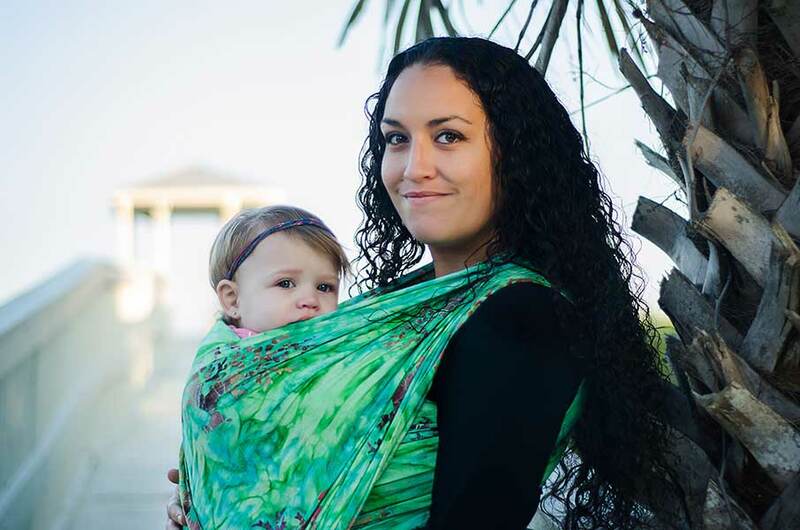 These Wrapsody baby wraps are the perfect choice for a chemical-free, fair-trade wrap in beautiful hand batiked colors and patterns. 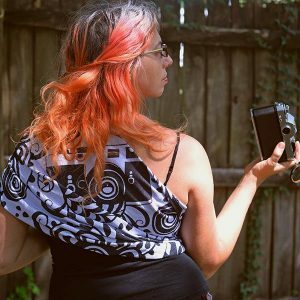 Called a hybrid wrap because it has all the cuddly softness of a stretchy wrap, but with all the support of a woven wrap. This means that Wrapsody Hybrid wraps will not sag as your baby gets bigger. 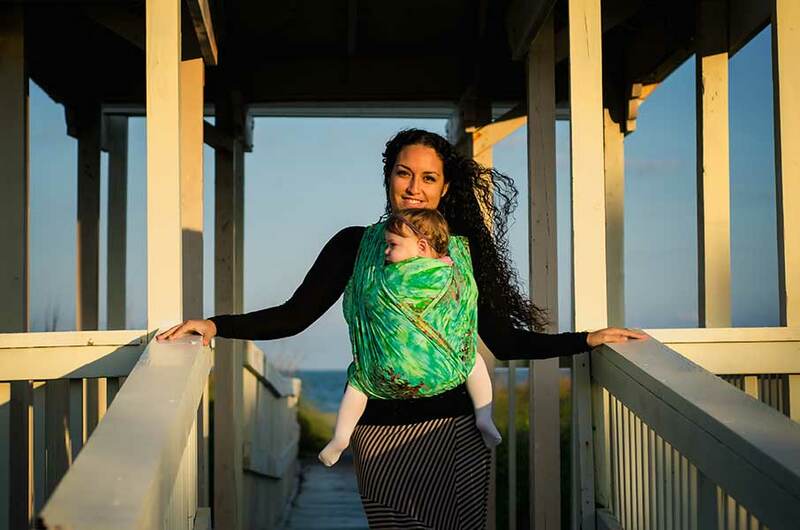 Rather you will continue to experience unparalleled comfort as your wrap continues to hold baby snug against you. It is safe and comfortable in front, back, or hip carries. 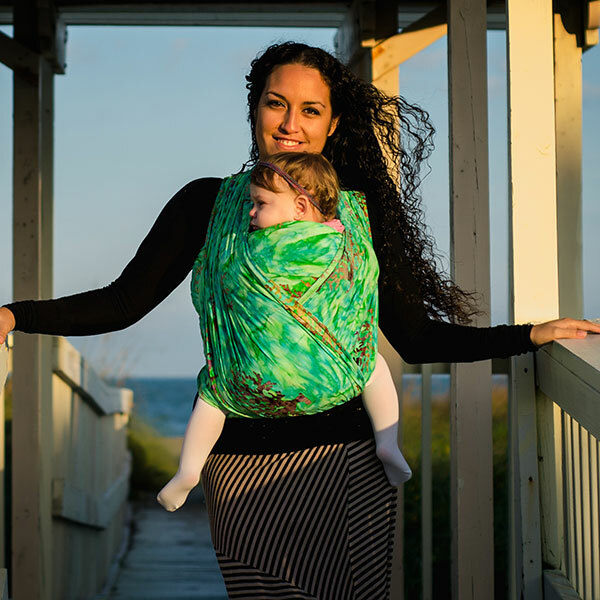 Wrapsody Hybrid Zoe will comfortably carry your baby through toddlerhood and up to 35 lbs. It is not just tested for safety to that weight, it is tested by moms for comfort up to that weight! Wrapsody Hybrid wraps are wide at 30 inches. The stretch to the fabric makes it easy to use and forgiving of sloppy or rushed wrapping. That means it will be comfortable even if you didn’t wrap well! Wrapsody Hybrid wraps have one directional stretch along the width but not the length of the wrap. This makes it different from so-called “stretchy wraps” like the Moby which stretch in both directions. 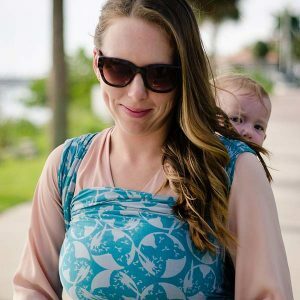 Because of this material, you can pretie Wrapsody Zoe so you can easily pop baby in and out of the wrap like a Moby wrap. Yet it has the strength to support even heavy toddlers. And you can use it for the same carries used for woven wraps, including back carries. With a Wrapsody Hybrid you will have a lot more versatility than a stretchy wrap. Your baby will not become too heavy to wear comfortably around 6 or 7 months. Instead, you will be happily enjoying the convenience and benefits of wrapping for YEARS! 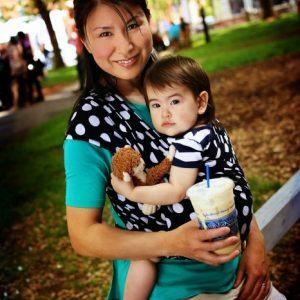 You can machine wash and dry Wrapsody’s 100% cotton Hybrid baby carriers. 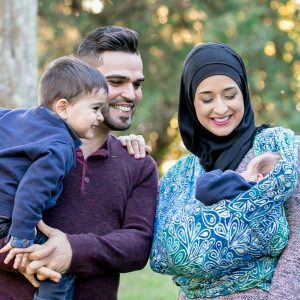 As the carriers are long and can tangle in your machines, it is best to first place the carrier inside a pillowcase or mesh sweater bag before washing. Do not use bleach. Feel free to utilize the soap you would use on any of your baby products, provided the soap does not contain bleach. Generally, a cold or warm wash is ideal. Line dry or dry on medium heat. FIRST WASH Due to the saturation of our beautiful hand-dyed fabrics, the first few times you wash your carrier, you should wash it separately from other items, as unbonded dye may remain in the fibers. Removing any excess dye will not cause your carrier to fade. There are commercially available “color catcher” sheets that you may wish to use in your first wash — to be honest, I cannot find any compelling discussion of the science of these sheets, but many folks swear by them. You can wash as normal in warm water and check the rinse water until you see it is clear. AVOID FADING Avoid fading the vibrant colors in your hand-dyed wrap. Do not dry it in direct sunlight. Or if you do dry in direct sunlight, do not leave it longer than necessary. Additionally, be aware that storing your wrap in sunlight, such as in a sunny spot of your car or in a sunny window, can cause the colors to fade over time. Free Shipping by USPS Priority Mail so you should have your wrap 2-4 working days from when you place your order. Add diana@wrapyourbaby.com to your Safe Senders list to make sure you receive your confirmation with tracking information. Most of my international shipments are sent by USPS Priority Mail International with a discounted shipping rate of $26 for most European and Australian shipments and $30 for most Canadian shipments. I ship worldwide - put a wrap in the cart and enter your shipping address to get a shipping quote. USPS Priority International reports a shipping time of 6 - 10 business days to most major markets. That means that if you live far from a major city, it may take a little longer. I am not responsible for any customs fees that may be charged on international packages. I offer a payment plan to help budget for a wrap that you can afford. Purchase your wrap with the layaway option to make a 25% down payment. At this time the wrap is taken out of inventory and reserved for you so no one else can buy it. You will be invoiced by email for the same amount once a month for the next 3 months, and when it is paid in full, I will ship your wrap to you. Make sure to add diana@wrapyourbaby.com to your Safe Senders list and/or check your spam folder if you don't receive your invoice. Please note that you are required to make monthly payments and if you cannot make a payment or the payment will be late, make sure to contact me by email at diana@wrapyourbaby.com so that we can work something out. If I do not receive your payment when due and cannot reach you by email, I reserve the right to cancel your layaway and return the item to inventory. If you want to be refunded for a cancelled layaway wrap, you must contact me. Unless otherwise specified, you may return a wrap in like-new, unwashed condition for an exchange or full refund for any reason, within 30 days of purchase. To return a wrap or other item, please email me at diana@wrapyourbaby.com so that I can send you the return address. If you are expecting or purchasing for an expecting mother, let me know the date of birth or adoption and I will count the 30 day period from that time. 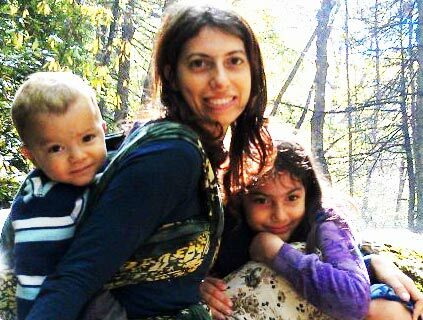 Let me know about any other unusual circumstances so that I can work with you fairly.